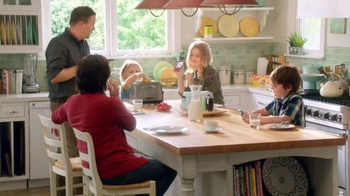 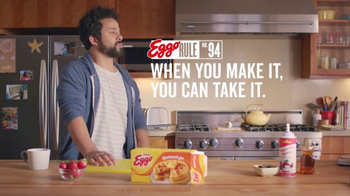 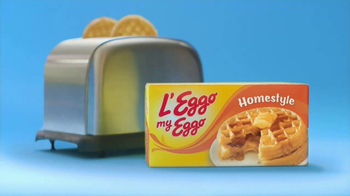 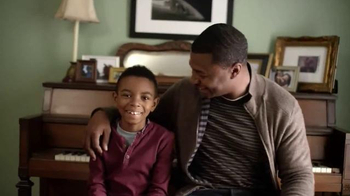 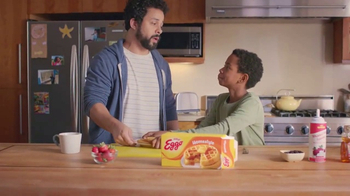 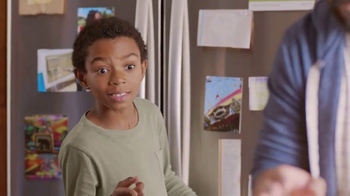 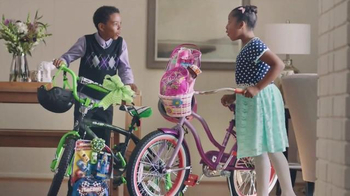 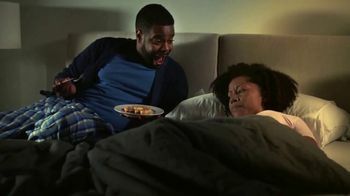 A father grabs his EGGO Waffles out of the toaster and is intercepted by his son. 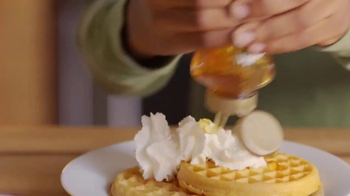 He quickly covers them in whipped cream, honey and raisins. 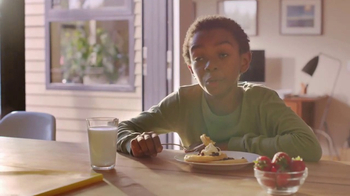 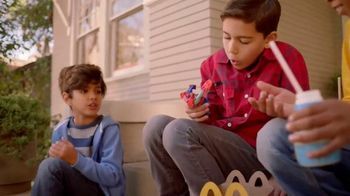 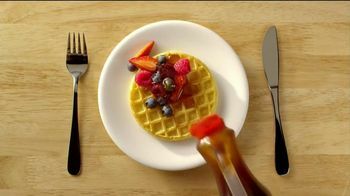 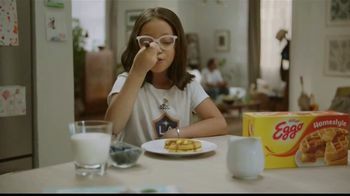 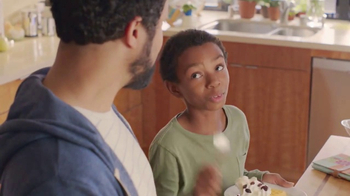 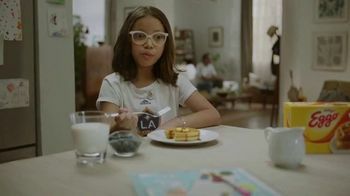 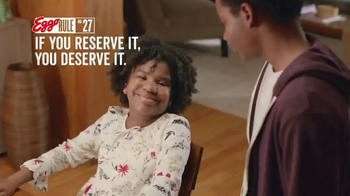 The boy then grabs the plate of decorated waffles and takes a seat at the dining table, emphasizing that his dad knows the rule "when you make it, you can take it."